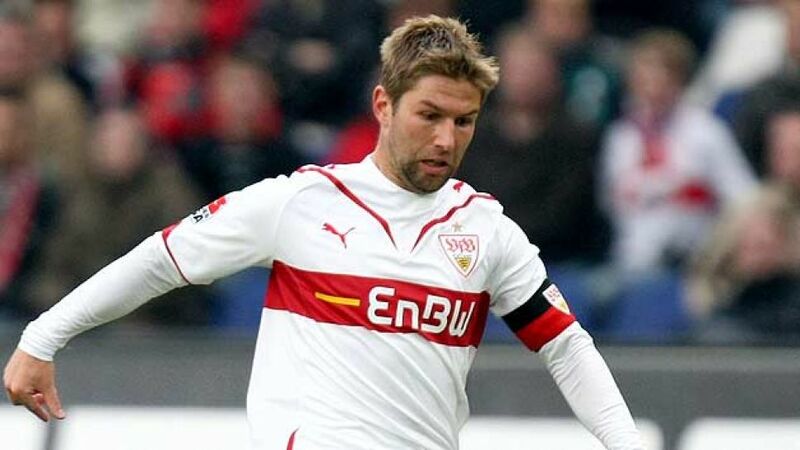 Munich - Former Germany international Thomas Hitzlsperger has announced his retirement from football following a succession of plaguing injuries. "I've been sure for the last couple of days. I'm not going to carry on playing," the 31-year-old told Süddeutsche Zeitung. His decision comes as a consequence of a process involving numerous changes of club, as well as various injuries, his body having given him the signal that “playing football professionally is no longer the be-all and end-all for me”. Hitzlsperger, who was born in Munich and educated in the youth teams of FC Bayern München, first made a name for himself in the English Premier League with Aston Villa FC, whose fans christened him ‘The Hammer’ on account of his booming left foot and penchant for scoring stunning drives from range. From Villa, he moved back to Germany to sign for VfB Stuttgart in 2005, going on to make over 100 league appearances and becoming club captain. He also scored in a 2-1 victory over FC Energie Cottbus that helped VfB become Bundesliga champions on the final day of the 2006/07, securing their first league title since 1992. In more recent years his career had been somewhat more meandering. He joined S.S. Lazio in 2010, but injury restricted him to just a handful of appearances, before he returned to England six months later, joining West Ham United FC. His time at Upton Park was also fleeting, leaving for VfL Wolfsburg when the East London side were relegated from the Premier League in 2011. After an equally brief stint at the Volkswagen Arena, he then moved to Everton FC in 2012, before he was released this summer. Hitzlsperger made 52 appearances for his country and scored eight goals, appearing at the 2006 FIFA World Cup in Germany and at the 2008 UEFA European Championships, helping his team to second place in the latter. His last appearance for die Nationalmannschaft came against Denmark in August 2010.